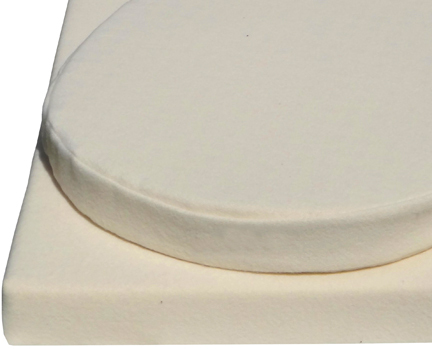 2" all natural Latex Infant Mattress wrapped in pure eco-wool moisture pad fabric. Replaces the toxic mattress that comes with co-sleepers, bassinets, and pack and plays. Be sure to measure your correct size first. *** These are custom made to order and non-returnable so check size carefully.